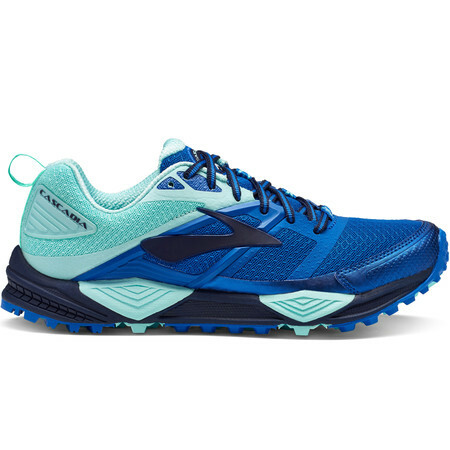 The women's Brooks Cascadia trail running shoe is a winning combination of versatile traction, protective cushioning and an adaptable fit. 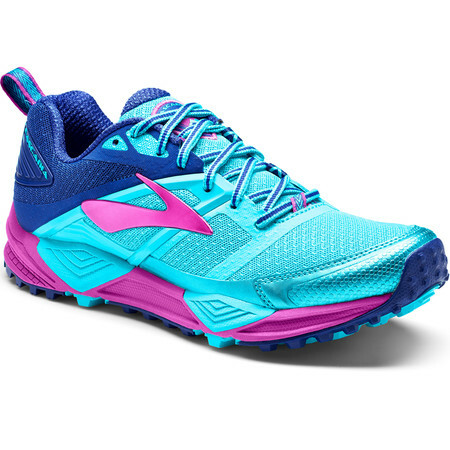 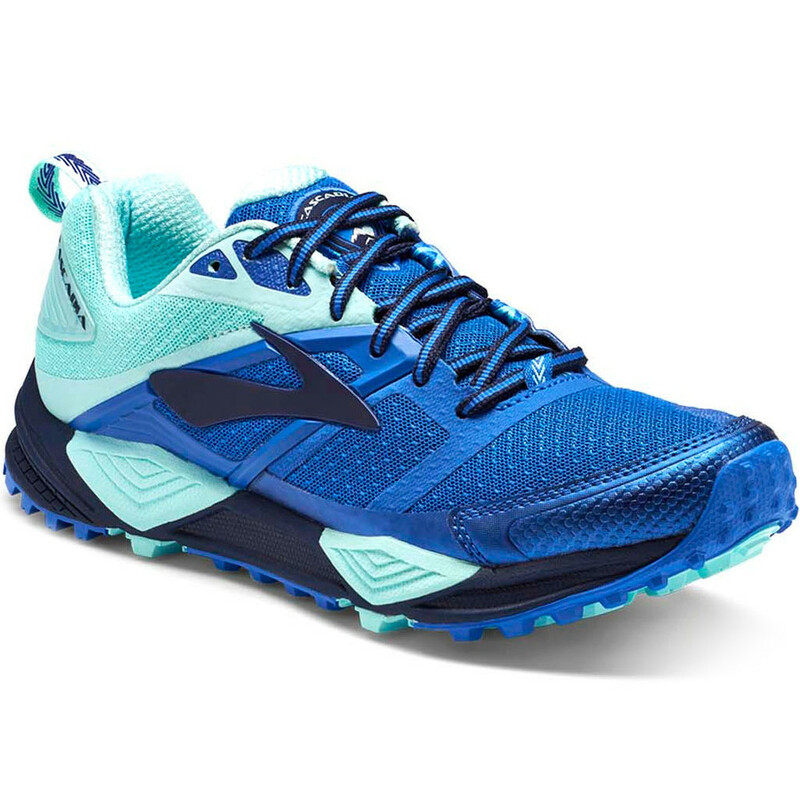 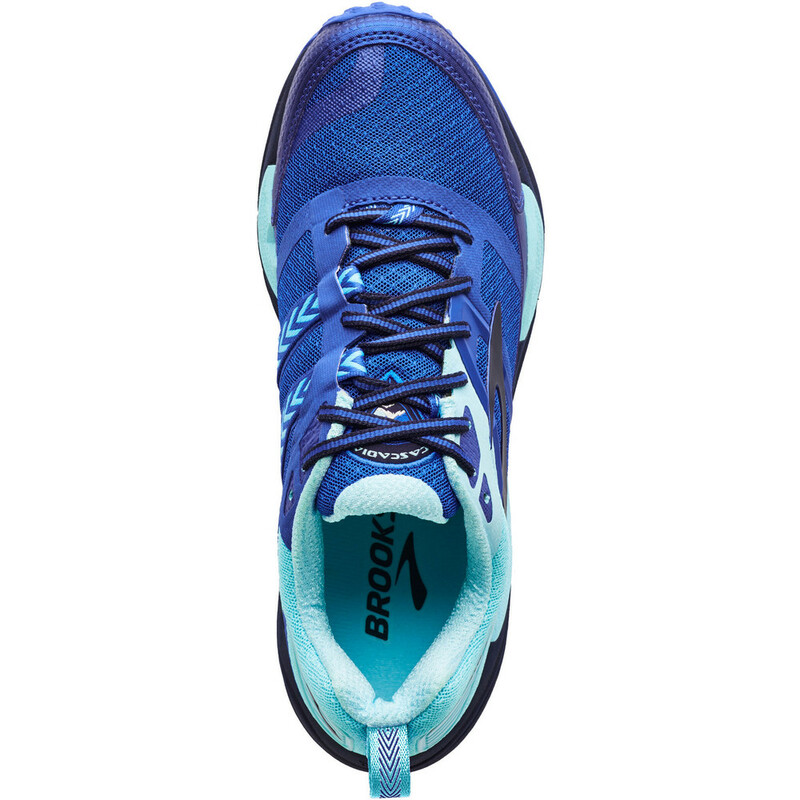 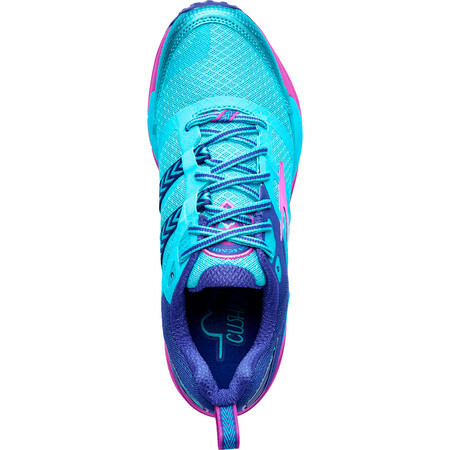 Brooks' shoe designers have toughened up version 12 by giving it a more aggressively lugged outsole for better grip in the wet and more torsional stability to support the foot on uneven terrain. 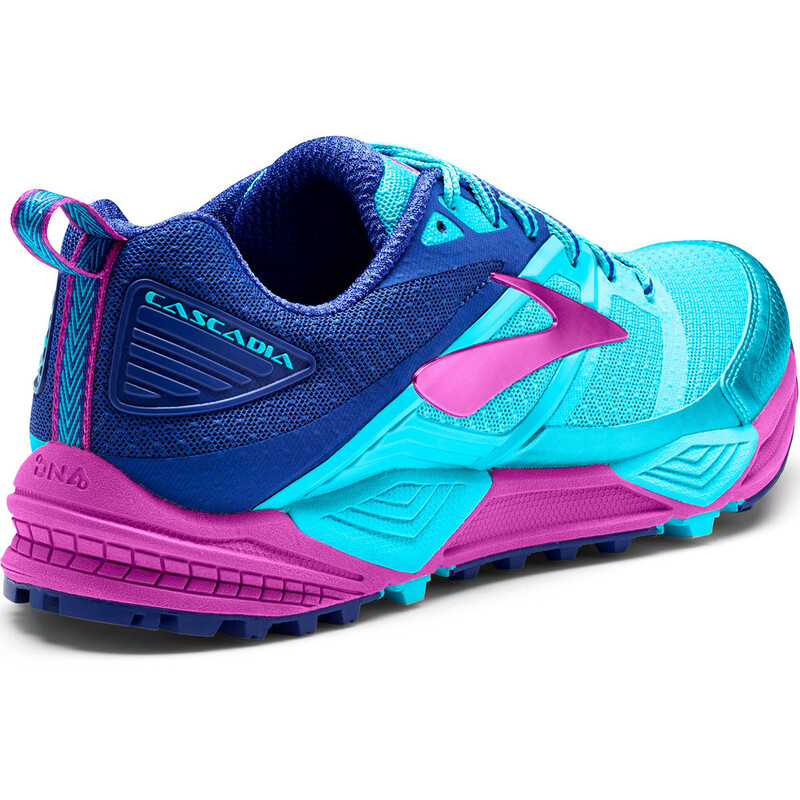 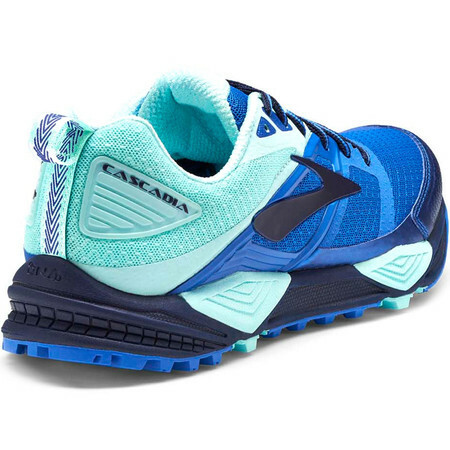 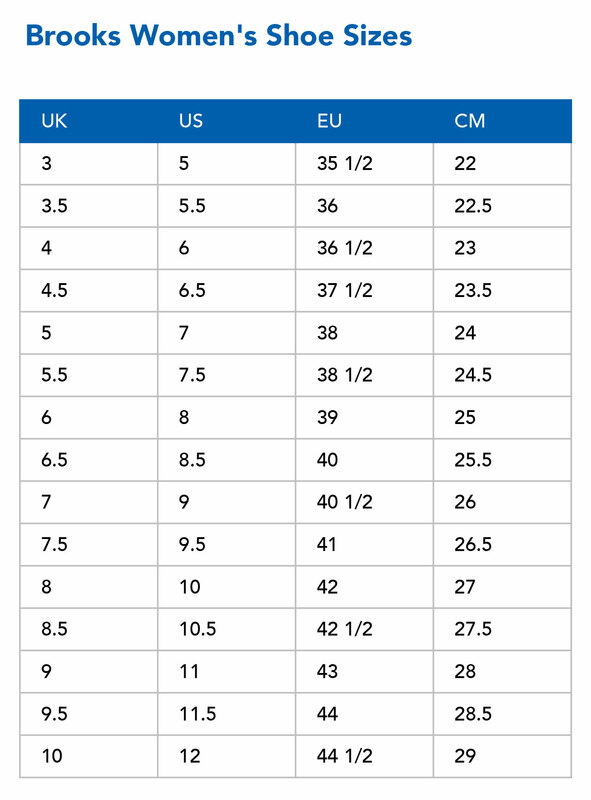 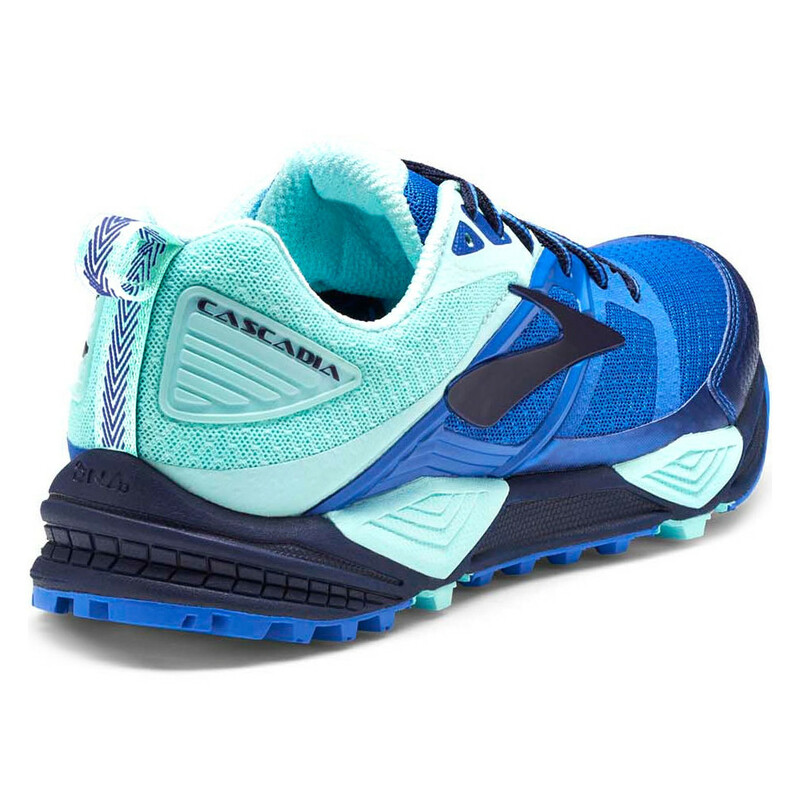 The Cascadia 12 is a little broader than the previous versions with a bit more volume in the forefoot. Wider straps on the medial side lock the foot down securely. The BioMogo DNA midsole cushions the foot from impact on firm ground. A ballistic rock plate protects the foot from sharp surface hazards. 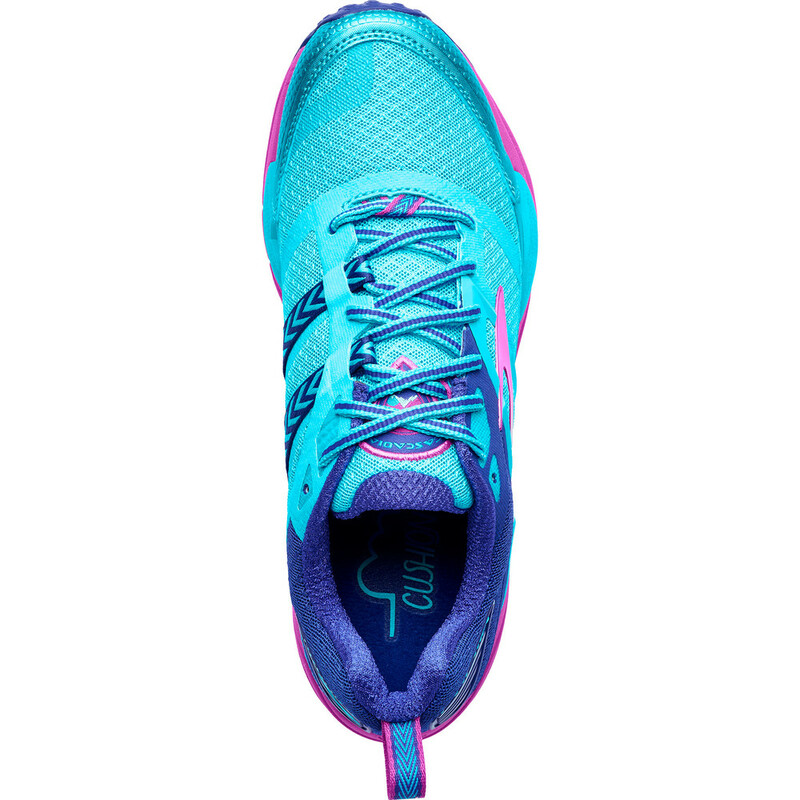 An improved Pivot Post System includes a 5th pivot near the 1st metatarsal for improved flex and toe off. 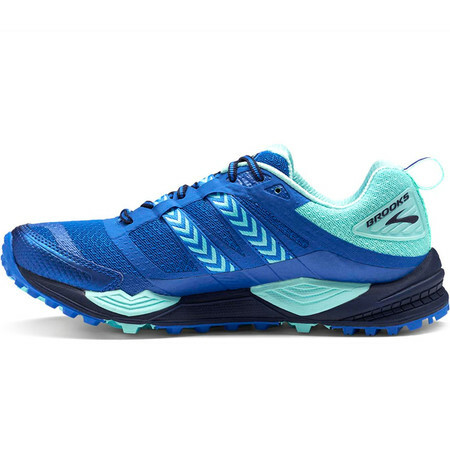 The Pivot System acts like the suspension in a car, keeping the foot balanced over rocks and bumps. 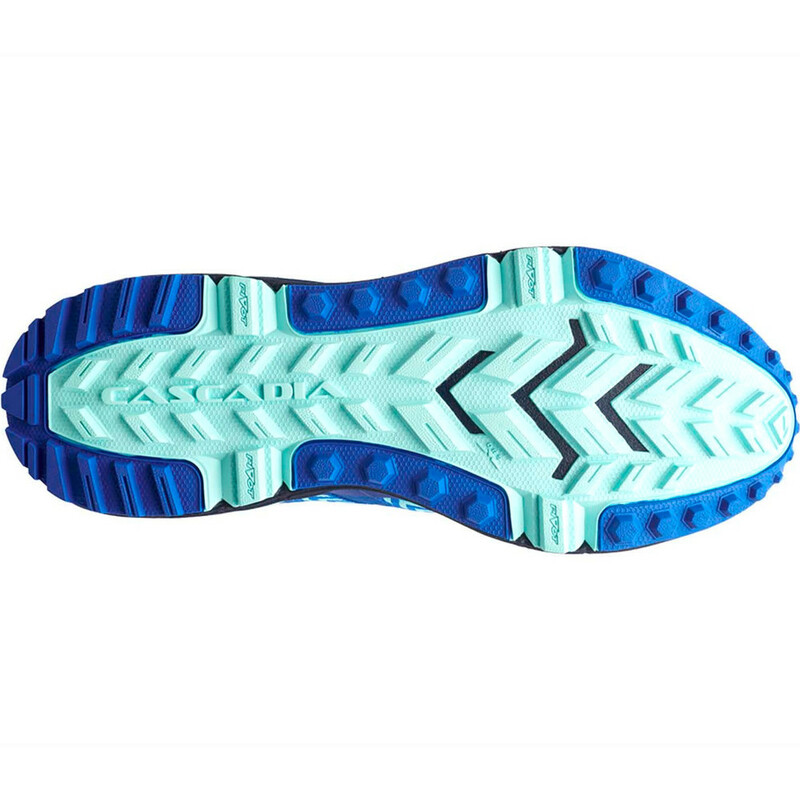 3D Hex lugs grip the ground whether you’re running up or downhill or on the flat.